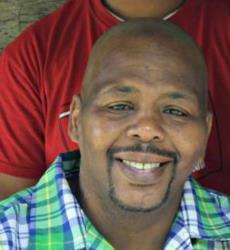 Mr. Carl Eugene Malone, 54, of Radcliff, KY died on April 26, 2018 at Hardin Memorial Hospital in Elizabethtown, KY.
Mr. Malone was a native of Mobile, AL and the son of the late Arther Edwards and Hattie Mae Malone. He was a member of Bible Baptist Church. Survivors include his daughters, Chanel West of Pittsburgh, PA and Shardaye Holmes of Decatur, GA; three sons, Maleek Moody of Tacoma, WA, Tyree Moody and Jessiah Moody both of Radcliff, KY; two sisters, Cynthina Brand of Radcliff, KY and Delores Thomas of Mobile, AL; four grandchildren, Sasha West-Williams, Maurice West-Williams, Makhal Delva, and Attaliah Holmes and his former wife, Janelle Daley of Radcliff, KY.